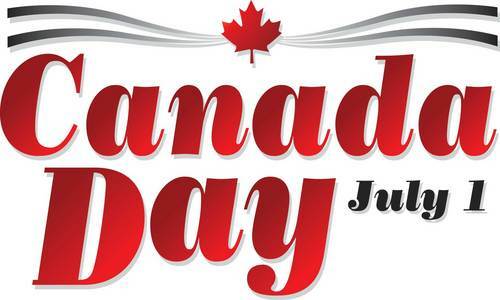 Have Apron....Will Bake: Happy Canada Day! So, today is Canada Day. And in the spirit of being a cool Canadian, I am making ice cream. It might have made more sense in my head.,,but I'm sticking with it....because I AM CANADIAN!! And proud of it, I might add. I love Canada, I really do. I feel very lucky to live in such a great country. I'm proud that it is a country that people want to move to and make their new home. I know, there are always things to complain about. But surely, ice cream can fix it. (Yes, that was an awesome seque.) My blog, my rules! We (hubbie and I) went and bought the ice cream maker attachment for my KitchenAid. I have wanted it for a while and it was on sale, so we went for it. Now I just have a wash it, put it in the freezer for a minimum of 15 hours and then make ice cream! What the....15 hours?? But I want ice cream now!! (And now I may be crying like a school girl.) Okay, so there is going to be a bit of down time. That's fine, gives me time to look for a good Vanilla Ice Cream Recipe. Here is the ice cream maker chilling out in the freezer. So, I have found a good recipe. David Lebovitz (naturally). I am going to make Vanilla Ice Cream, as I think I should try a basic recipe for my first time. And I think I need to purchase this book. David Lebovitz is the Ice Cream King! So, it is now tomorrow (today). And I can start this recipe for Vanilla Ice Cream. Upon reading the recipe thoroughly (something I really should do more often), I see that once the custard is made, I have to let it cool completely before putting it in the ice cream maker. Good grief, Charlie Brown....maybe ice cream making isn't going to be my thing. I hate waiting! Now upon my second reading (more thoroughly as I missed this during my first "thorough" read) I see I also need to let the milk mixture infuse the awesomeness of the vanilla bean (for an hour)....before I can actually make the custard. Le Sigh. I guess we're going to be putting this ice cream making adventure on hold. Oh well, perhaps the 'Perfect Scoop' ice cream book will arrive by that time. Yeah, I ordered it. Happy Canada Day to everyone! Happy Canada Day from another fellow Canadian. Making ice cream sounds like a wonderful pursuit to tackle. I bet it was delicious.